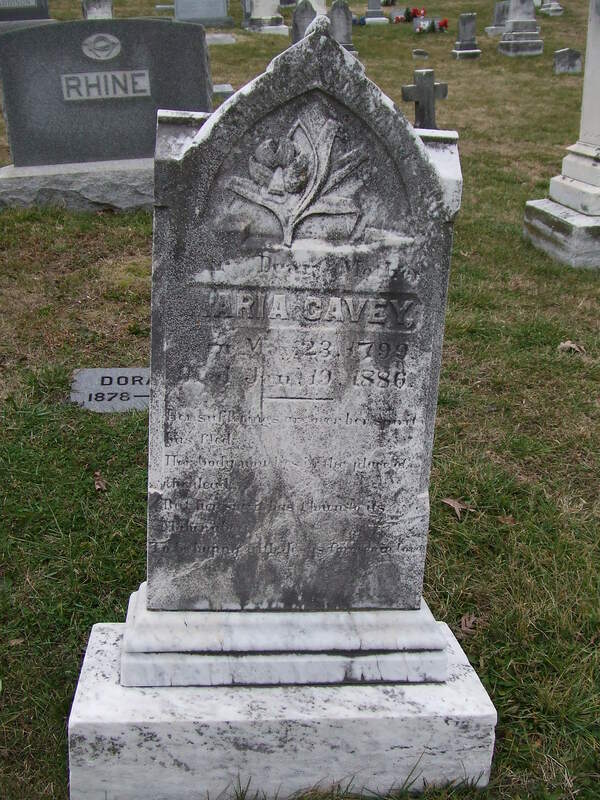 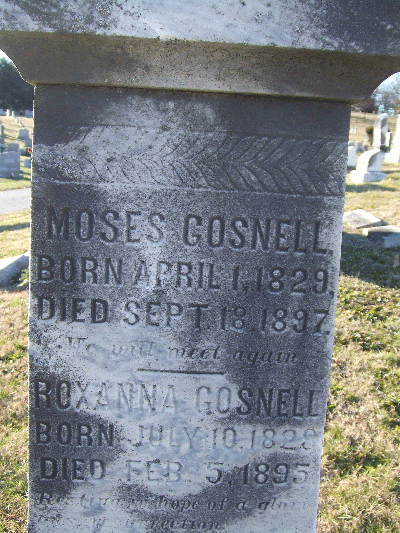 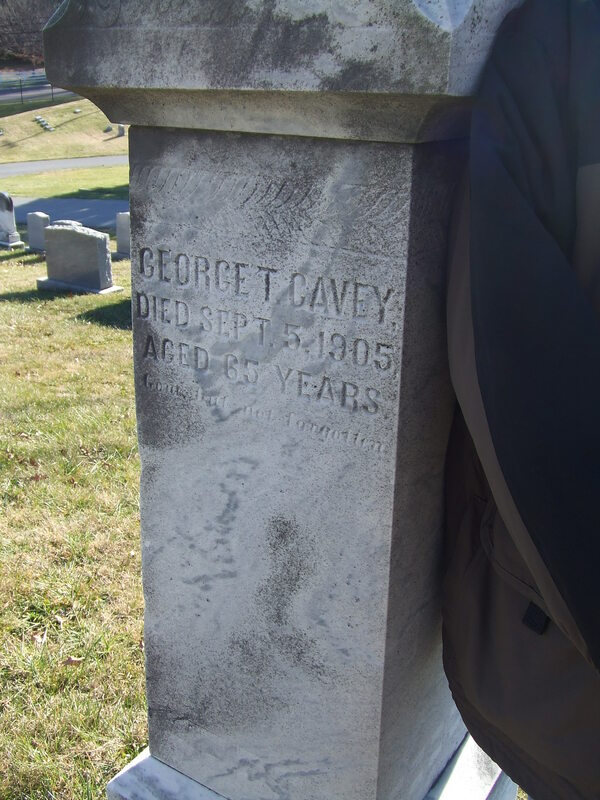 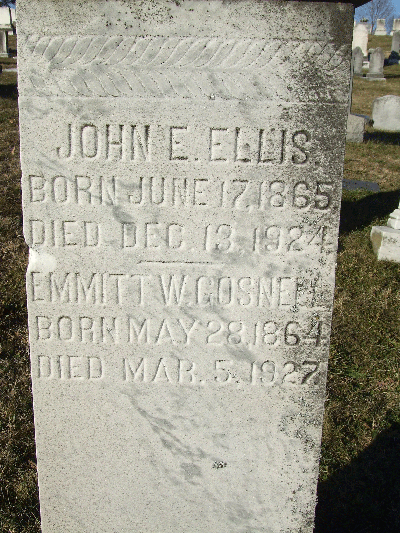 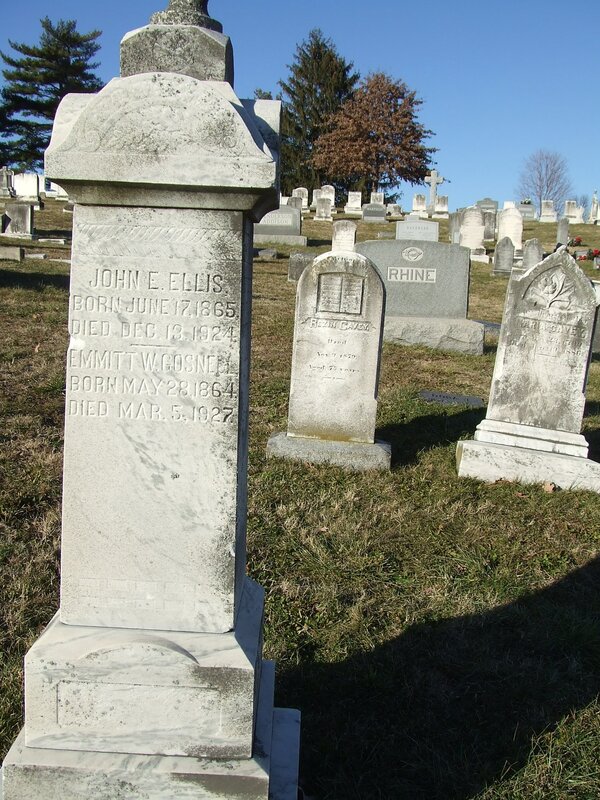 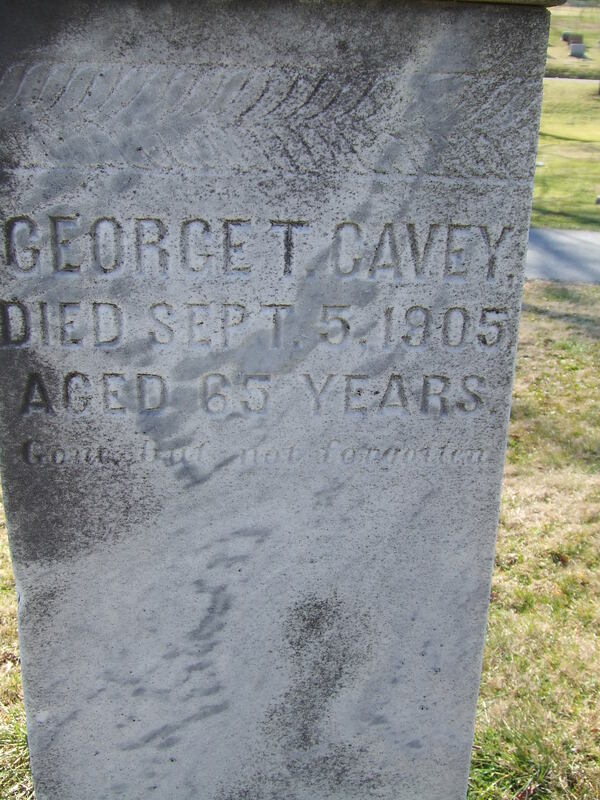 I have received pictures of Cavey's graves at Saint John's methodist episcopal cemetery (Ellicott City). 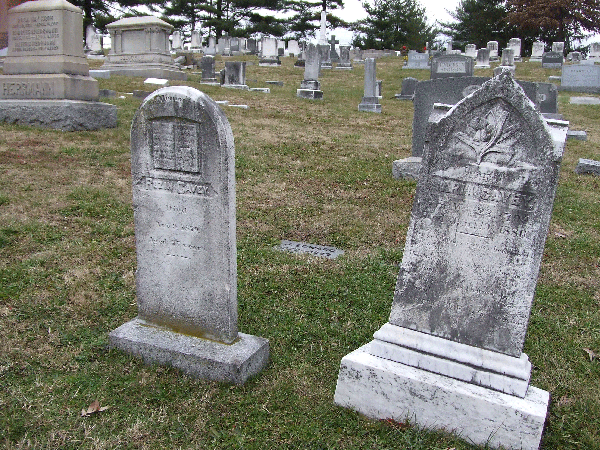 (Obelisk at the top center and both graves on its left side). 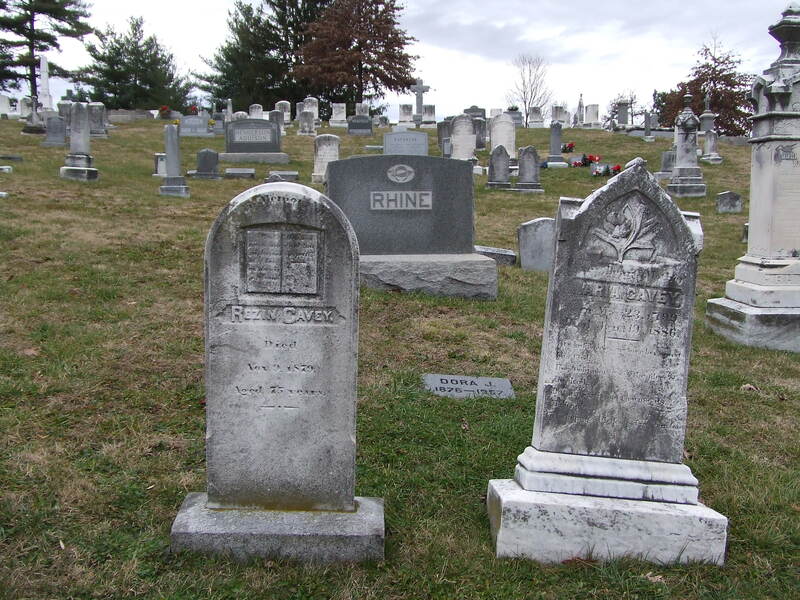 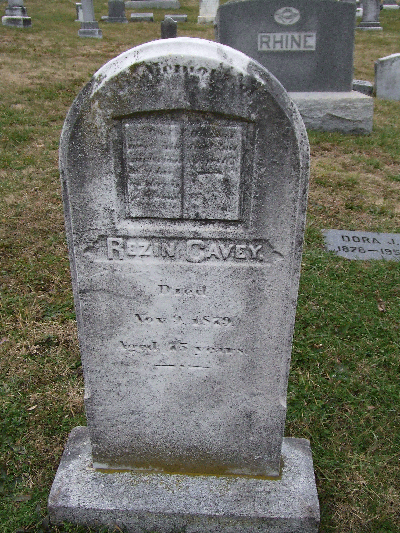 Rezin and Maria Cavey graves. † Rezin died Nov. 9th 1879 (born 1804) - † Maria Jan. 19th 1886 (born 1799). 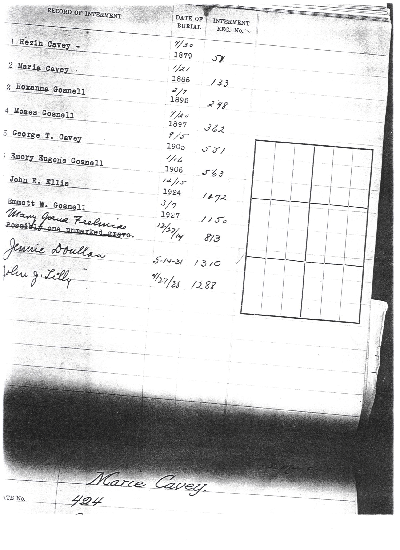 Listing of person buried in the George T. Cavey plot at Saint John Methodist Episcopal Cemetery (photocopy of the cemetery records). Some of the names were never carved into the obelisk. 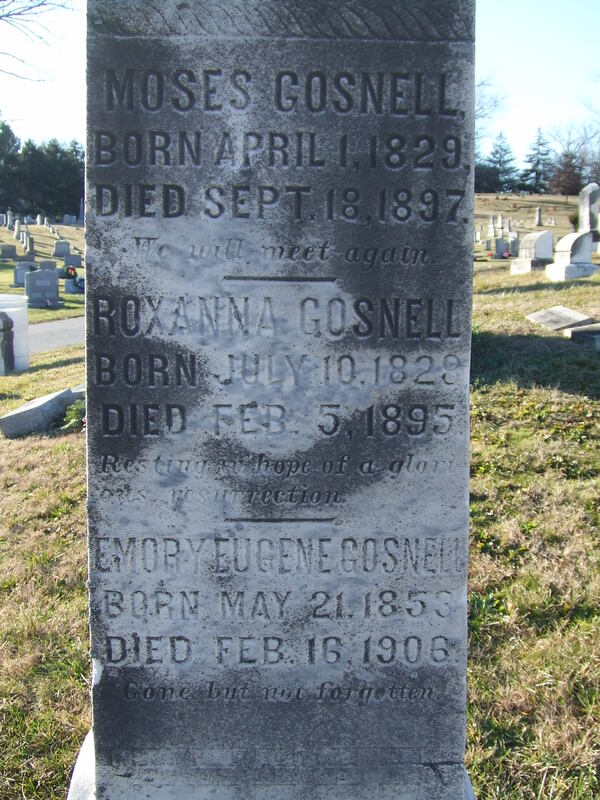 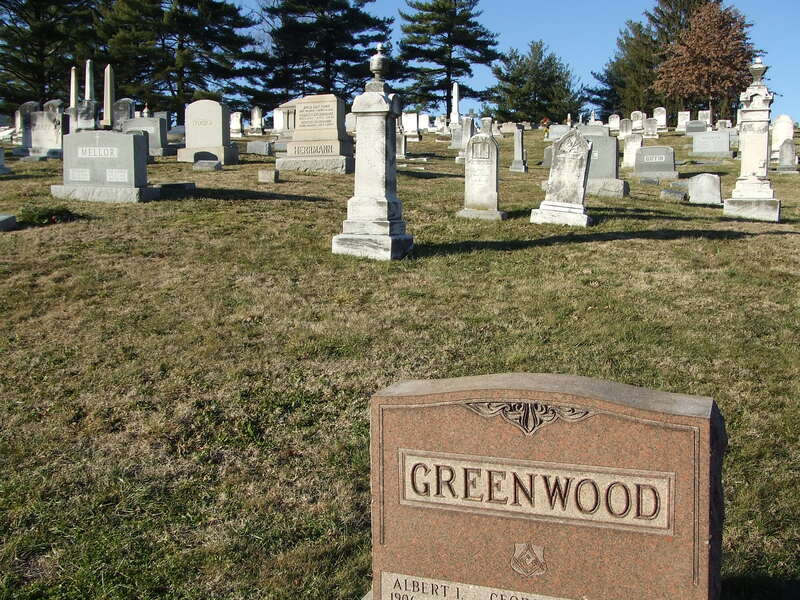 There were 12 graves in this family plot.